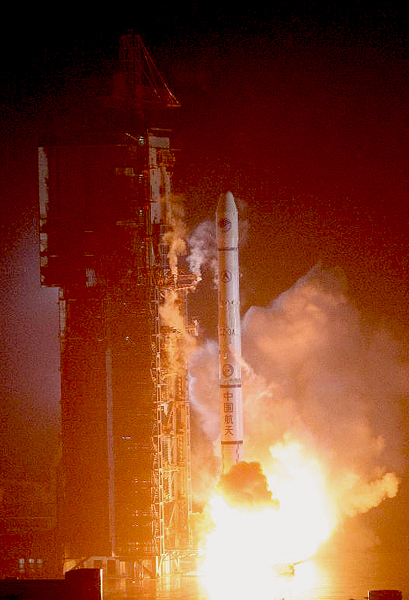 [Updated 7:30 p.m. July 26 PDT) China launched another Compass/BeiDou-2 satellite at 5:44 on the morning of July 27 (Sichuan time zone). It is the ninth spacecraft in China’s indigenous satellite navigation and positioning network and the fourth in inclined geosynchronous orbit. 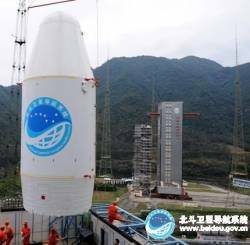 The navigation satellite was launched on a Long March-3A carrier rocket, according to China’s government-sponsored Compass website at www.beidou.gov.cn. 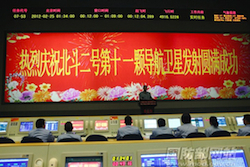 A video of the launch is also available on the Beidou website. The Compass/Beidou-2 network will ultimately will consist of 35 satellites. Officials with the China Civil Aviation Authority recently announced that civil aircraft currently using the U.S. GPS system will gradually convert to use of Compass.